The Social Justice Bench of the Supreme Court of India Today (In Re-Inhuman Conditions in 1382 Prisons) issued further Guidelines relating to Prison Reforms in the Country. ‘Prison reforms have been the subject matter of discussion and decisions rendered by this Court from time to time over the last 35 years. Unfortunately, even though Article 21 of the Constitution requires a life of dignity for all persons, little appears to have changed on the ground as far as prisoners are concerned and we are once again required to deal with issues relating to prisons in the country and their reform’, said the Bench comprising of Justices Madan Lokur and R.K.Agrawal. On 13th June, 2013 former Chief Justice of India R.C. Lahoti, wrote a letter to Chief Justice of India relating to the disturbing conditions in prisons. Justice R.C. Lahoti invited attention to the inhuman conditions prevailing in 1382 prisons in India as reflected in a Graphic Story appearing in Dainik Bhaskar (National Edition) on 24th March, 2013. On 5th July, 2013 the letter was registered as a public interest writ petition (PIL) and the Registry was directed to take steps to issue notice to the appropriate authorities after obtaining a list from the office of the learned Attorney General. The Social Justice Bench on 13th March, 2015 passed an Order requiring the Union of India to furnish certain information primarily relating to the more serious issue of over-crowding in prisons and improving the living conditions of prisoners. The order dated 24th April, 2015 made a pointed reference to the extremely high percentage of under trial prisoners and the total number of prisoners as on 31st December, 2013. The Ministry of Home Affairs was directed to ensure that the Bureau of Police Research and Development undertakes a review of the Model Prison Manual within a period of three months. A direction was also issued to ensure that the Under Trial Review Committee is established within one month in all districts and the next meeting of that Committee in each district should be held on or about 30th June, 2015. Pursuant to the aforesaid order and directions, NALSA filed a compliance report on 4th August, 2015 in which it was stated that steps have been taken to ensure that Under Trial Review Committees are set up in every district and the State Legal Services Authorities had also been asked to take up the cases of prisoners who were unable to furnish bail bonds and to move appropriate applications on their behalf. The Bench also issued further orders on 18th September, 2015 and 16th October, 2015. 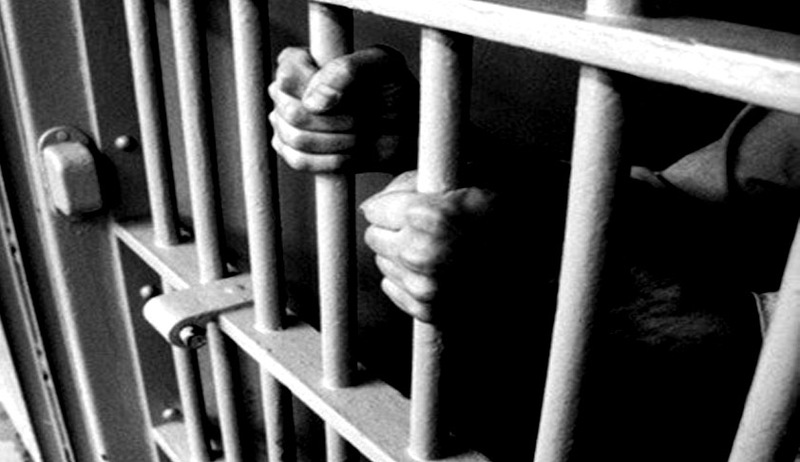 In compliance with the order passed on 16th October, 2015 an affidavit dated 22nd January, 2016 was filed by the Ministry of Home Affairs in which it was stated that a detailed evaluation of the software for the e-Prisons Project had been completed and guidelines had also been circulated to all the States for their proposals and for exercising their option for selecting the appropriate software. With regard to the Model Prison Manual, it was stated that the revised Model Prison Manual had been approved by the competent authority and it was circulated to all States and Union Territories. The revised manual also included a provision for a suitable crèche for the children of women inmates in the prison. In the hearing that took place on 29th January, 2016 it was pointed out that considerable progress had been made inasmuch as the Model Prison Manual had been finalized and perhaps circulated to all the States and Union Territories; Under Trial Review Committees had been set up in every district. In addition, it was pointed out that steps should be taken to ensure that wherever persons are in custody under offences that are compoundable, steps should be taken to compound the offences so that overcrowding in jails is reduced. The Under Trial Review Committee in every district should meet every quarter and the first such meeting should take place on or before 31st March, 2016. The Secretary of the District Legal Services Committee should attend each meeting of the Under Trial Review Committee and follow up the discussions with appropriate steps for the release of undertrial prisoners and convicts who have undergone their sentence or are entitled to release because of remission granted to them. The Under Trial Review Committee should specifically look into aspects pertaining to effective implementation of Section 436 of the Cr.P.C. and Section 436A of the Cr.P.C. so that undertrial prisoners are released at the earliest and those who cannot furnish bail bonds due to their poverty are not subjected to incarceration only for that reason. The Under Trial Review Committee will also look into issue of implementation of the Probation of Offenders Act, 1958 particularly with regard to first time offenders so that they have a chance of being restored and rehabilitated in society. The Member Secretary of the State Legal Services Authority of every State will ensure, in coordination with the Secretary of the District Legal Services Committee in every district, that an adequate number of competent lawyers are empanelled to assist undertrial prisoners and convicts, particularly the poor and indigent, and that legal aid for the poor does not become poor legal aid. The Secretary of the District Legal Services Committee will also look into the issue of the release of undertrial prisoners in compoundable offences, the effort being to effectively explore the possibility of compounding offences rather than requiring a trial to take place. The Director General of Police/Inspector General of Police in-charge of prisons should ensure that there is proper and effective utilization of available funds so that the living conditions of the prisoners is commensurate with human dignity. This also includes the issue of their health, hygiene, food, clothing, rehabilitation etc. The Ministry of Home Affairs will ensure that the Management Information System is in place at the earliest in all the Central and District Jails as well as jails for women so that there is better and effective management of the prison and prisoners. The Ministry of Home Affairs will conduct an annual review of the implementation of the Model Prison Manual 2016 for which considerable efforts have been made not only by senior officers of the Ministry of Home Affairs but also persons from civil society. The Model Prison Manual 2016 should not be reduced to yet another document that might be reviewed only decades later, if at all. The annual review will also take into consideration the need, if any, of making changes therein. The Under Trial Review Committee will also look into the issues raised in the Model Prison Manual 2016 including regular jail visits as suggested in the said Manual. The Bench also directed Ministry of Women and Child Development, to prepare a Manual like ‘Prison Manual’ which will take into consideration the living conditions and other issues pertaining to juveniles who are in Observation Homes or Special Homes or Places of Safety in terms of the Juvenile Justice (Care and Protection of Children) Act, 2015.